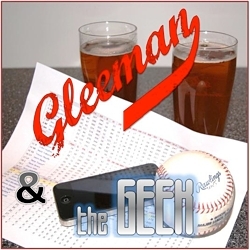 • It's always difficult to dig through all the rumors and speculation at the trade deadline to get a sense for what actually happened with deals that fell apart, but when it comes to the Twins' talks with the Nationals about Denard Span the various reports form something resembling a consensus. It sounds like the Twins were willing to build a deal for Span around Drew Storen, but the Nationals balked when asked to include infield prospect Stephen Lombardozzi as well. There are other stray details that appeared in some reports but not others, such as the Twins' interest in outfielder Roger Bernadina or the Nationals trying to substitute Tyler Clippard for Storen as the reliever centerpiece, but ultimately the starting point of the talks was Storen for Span, with Lombardozzi's inclusion proving to be the hurdle that tripped everything up. And if that's true, it should be scary for Twins fans. Trading a 27-year-old center fielder with good on-base skills, plus defense, and a team-friendly contract that runs through 2015 for a 70-inning reliever is a fundamental mistake in logic--not to mention player evaluation--that you'd think the Twins would've learned to avoid at all costs after last year's Wilson Ramos-for-Matt Capps swap with those same Nationals. 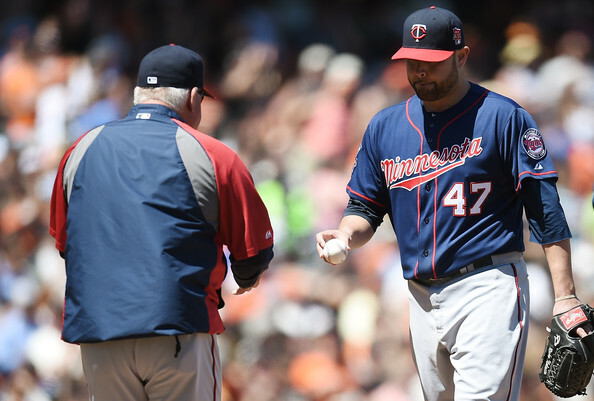 Lombardozzi would've tipped the scales a bit back in the Twins' direction, but not that much. His father, Steve Lombardozzi, played four years with the Twins, hitting .233/.307/.345 in 423 games from 1985-1988. Father and son are both second basemen and occasional shortstops with good strike-zone control, plus speed, and modest power. Stephen has advanced through the minors more quickly than Steve and his numbers project slightly better, but he didn't crack Baseball America's top 10 Nationals prospects and is no sure thing to become a solid regular. Lombardozzi's performance in the minors is good but not great and built around a .300 batting average. That's obviously a positive thing, but he's managed just 16 homers in 417 games and averaged only 55 walks per 600 plate appearances, including just 28 free passes in 473 trips to the plate between Double-A and Triple-A this season. With minimal power and iffy patience it's tough to project a big impact in the majors from a .298/.370/.412 hitter in the minors. Storen is a very good, young, and cheap reliever and Lombarozzi is a decent enough prospect who should settle in somewhere between nice utility man and mediocre starter. Together they have plenty of long-term value, but not enough to part with a good, young, and cheap center fielder with a .366 career on-base percentage. I'm relieved the Twins passed on the deal, but also worried the Nationals merely temporarily saved them from again overpaying for saves. • I'm very curious to see how Ron Gardenhire handles the outfield logjam now that Span has returned from a two-month stint on the disabled list following his June 3 concussion. Last night against a right-handed pitcher Span started in center field and Ben Revere was on the bench, but presumably the Twins won't keep the 23-year-old Revere around in the big leagues unless he's starting at least somewhat regularly. That could be accomplished pretty easily by platooning Revere and Delmon Young in left field, but Gardenhire has never seen the value of platooning and has yet to see the value of sitting Young versus right-handed pitching, against whom he's hit just .263/.298/.340 this year and .283/.315/.405 for his career. Either way, Span will provide some much-needed on-base skills atop the lineup after Revere got on base at a measly .301 clip in 52 leadoff starts. Apparently the Twins wanted Span to see some action as a corner outfielder in Rochester, but he refused (or maybe declined, depending on your preferred wording choice). Rhett Bollinger of MLB.com reports that "Span didn't want to play in any games in left or right field during his rehab stint." Or as Gardenhire phrased it: "We talked before, about doing that in the minor leagues, but we didn't get that done. 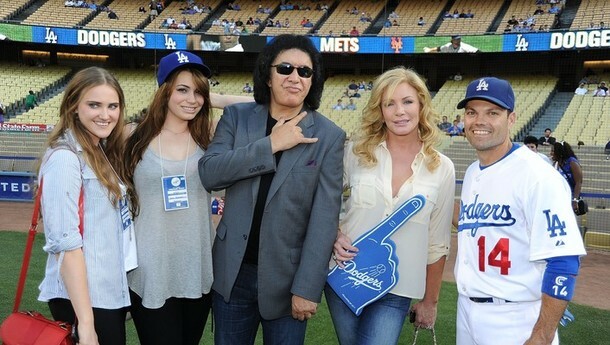 So he's in the big leagues, in center field." I'm not yet convinced Revere in center field and Span in left field is better than Span in center field and Revere in left field anyway, but it's an interesting situation given how much criticism Joe Mauer took during his rehab assignment for insisting on playing catcher. Young has never played right field for the Twins despite a strong arm being his only asset defensively, so unless Gardenhire changes his mind on that issue we'll see Span or Revere in right field soon enough. No other team in Twins history had more than seven position players notch 100 or more plate appearances and a .300 or lower OBP. We're seeing some historic ineptitude when it comes to getting on base. As a whole the current team's .309 on-base percentage is the Twins' lowest since 1981 and their first sub-.320 mark since 1984. • According to general manager Bill Smith the Twins finished runner-up in the winter bidding for Japanese right-hander Hisashi Iwakuma, as the A's easily topped them $19 million to $7.7 million. Contentious negotiations followed and the two sides couldn't agree on a deal, so the A's were refunded and Iwakuma headed back to Japan. And now Jerry Crasnick of ESPN.com reports that Iwakuma has hired a new agent with an eye toward coming to MLB in 2012. Crasnick notes that because Iwakuma has now played 10 seasons in Japan he can become an outright free agent without the need for bidding, posting fees, or exclusive negotiating rights. He'll simply hit the open market in November alongside other free agent pitchers, which likely takes the Twins out of the running even if Tsuyoshi Nishioka's extreme struggles following a $15 million investment haven't already soured them on pursuing other Japanese players. • Last spring I criticized the Twins for handing Nick Blackburn a four-year, $14 million deal, as they already had him under team control via arbitration and minuscule strikeout rates meant it would be hard to sustain his status as a mid-rotation starter. Sure enough, since the signing his 4.2 strikeouts per nine innings is MLB's lowest rate and Blackburn has a 5.00 ERA and .302 opponents' average in 291 innings. He's owed $4.75 million in 2012 and $5.5 million in 2013. In his last seven starts Blackburn has given up 39 runs on 58 hits and 13 walks in 33 innings, allowing opponents to hit .387 with a .607 slugging percentage. Brian Duensing hasn't been nearly that awful, but his rough patch dates back much further. After last night's loss Duensing has a 5.14 ERA in 92 innings spread over 16 starts since May 1, allowing opponents to hit .290 and slug .458. And just a reminder: Kevin Slowey has a 4.42 career ERA as a starter. • Capps has quietly strung together seven straight scoreless outings since being stripped of closer duties in mid-July, although recording just two strikeouts in 21 plate appearances during that stretch doesn't exactly inspire confidence. Overall this season Capps has struck out just 12.1 percent of the batters he's faced, compared to 19.3 percent last season and 18.7 percent for his career. He's also allowed more homers (eight) than walks (six). Brad Radke approves. This week's content is sponsored by Minnesota's leading variable frequency drive company, IDEAL Service, so please help support AG.com by considering them for your industrial electronic needs. 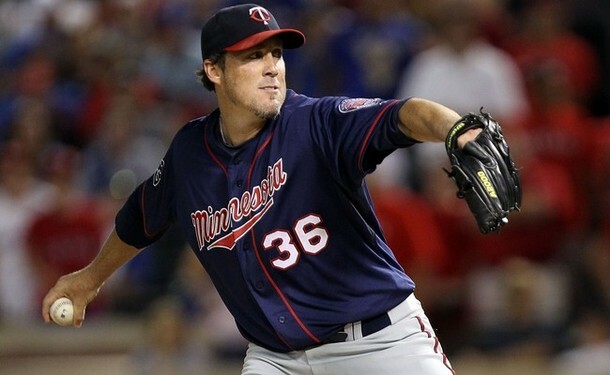 • With the Brewers out of the free agent starting pitching market following their trade for Zack Greinke various reports have Carl Pavano deciding between the Twins and Nationals. If the speculation about it coming down to which team offers him a three-year deal proves true fans should hope the Twins bow out. Signing a 35-year-old pitcher with an extensive injury history to a three-year pact that would surely be worth at least $25 million is just asking for trouble. • They made no legitimate effort to re-sign Matt Guerrier or Jesse Crain and seemingly have no interest in bringing back Jon Rauch, but Ken Rosenthal of FOXSports.com reports that the Twins are still talking to Brian Fuentes. Fuentes showed that he still has plenty left in the tank at age 35 and he'd be worth re-signing for, say, $10 million over two years, but it seems likely that he'll be able to get more money or an opportunity to close elsewhere. • Many people have been assuming that Jim Thome re-signing was only a matter of time, but LaVelle E. Neal III of the Minneapolis Star Tribune reports that Thome wants to "make up for what he didn't earn last season." It's tough to blame Thome, because he was certainly worth far more than the $2 million or so the Twins paid him in 2010. On the other hand there aren't many openings for pure designated hitters and he hasn't really been linked to other teams. Bringing back Thome would be great if the price is reasonable, but it's also worth remembering that he wasn't a regular until Justin Morneau's concussion in early July, starting just 34 of the first 84 games. Thome and a healthy Morneau along with Jason Kubel, Michael Cuddyer, and Delmon Young would give the Twins five players for four lineup spots, and it's hard to imagine Ron Gardenhire benching Cuddyer versus righties no matter how much sense it would make. • General manager Bill Smith revealed during a recent interview with Patrick Reusse and Phil Mackey on 1500-ESPN that the Twins finished runner-up in the bidding for Japanese starting pitcher Hisashi Iwakuma, which took place about four weeks before they won the bidding for infielder Tsuyoshi Nishioka. According to Smith the Twins bid $7.7 million for Iwakuma, which was nowhere near the A's winning bid of $19.1 million. And ultimately he didn't sign. Based on Iwakuma’s reported asking price the Twins likely would have balked at his demands too, but had the posting fee been $7.7 million instead of $19.1 million it's possible he would've asked for significantly less money or the Twins would've had more room in the total budget for the acquisition to offer him a palatable deal. Whether that would've changed their pursuit of Nishioka is unclear, but Iwakuma is considered an elite Japanese pitcher. 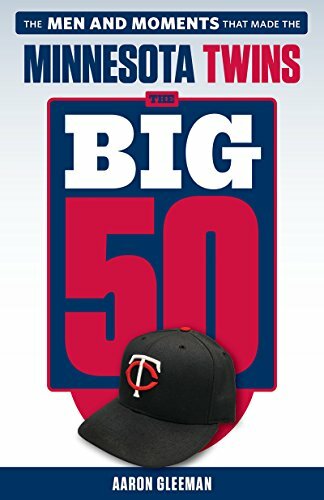 • Dan Szymborski is gradually publishing his annual ZiPs projections at Baseball Think Factory and the Twins are his latest release. Before checking out the list keep in mind that no fan base has ever looked at projections for their team's upcoming season and concluded they were too optimistic. So, try not to be a homer. ZiPs projects Nishioka to hit .281/.337/.403 based on his track record in Japan, which is pretty close to my quick-and-dirty projection of .275/.335/.375. • One interesting name among the Twins' latest batch of minor-league signings is left-hander Chuck James, a former top prospect who found success in the Braves' rotation before injuries sidetracked his career. James went 11-4 with a 3.78 ERA in 119 innings as 24-year-old rookie in 2006 and started 30 games with a 4.24 ERA in 2007, but struggled mightily in 2008 before undergoing surgery to repair a torn rotator cuff and labrum in his shoulder. He missed all of 2009, but came back very strong last season in the Nationals' system by going 10-1 with a 2.32 ERA and 69-to-11 strikeout-to-walk ratio in 66 innings between Double-A and Triple-A. James was an extreme fly-ball pitcher with a fastball that topped out in the high-80s even before going under the knife, so resurrecting his career is a long shot, but he's still just 29 years old and will be worth keeping an eye on at Rochester. • After trading Jose Morales to the Rockies for reliever prospect Paul Bargas the Twins signed veteran minor-league catchers Steve Holm and Rene Rivera. They've both had brief stints in the big leagues, but neither can hit and they're definitely Triple-A caliber. Joe Mauer and Drew Butera are the only catchers on the 40-man roster, so presumably Holm and Rivera will vie for the spot behind Butera on the "hopefully he only has to start once a week" depth chart.